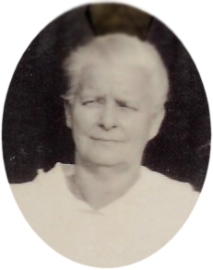 This is Mary Etta Goebel Carey's Aunt. Mrs. Amelia Frances Strechenfinger died Monday afternoon at a rest home at Osage City after a long illness. She was a pioneer resident of Scranton, having been born there on October 30, 1869 and lived there until 1954 when illness forced her to move. She is survived by a daughter, Mrs. Mable Bodine and a son, William Strechenfinger both of Scranton.